Lloyd Lewis – Last weekend I traveled to Quincy for a funeral for a very dear friend of Art Camp. 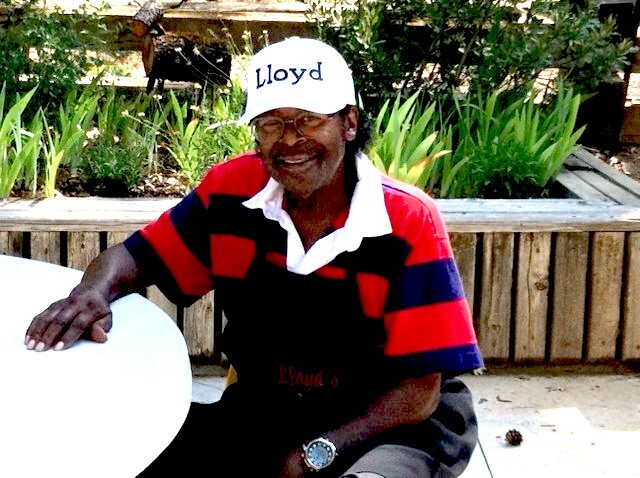 If you have been to the Oakland Camp, (the facility where Art Camp is held) you may remember Lloyd Lewis, famous for his barbecue, and the caretaker who took care of a wide variety of problems from plumbing, moving fallen trees, cooking and the endless small details with maintaining a camp facility. He also took many a child under his wing to introduce them to the wonders of nature around Camp. He retired a few years ago, but Billy Dannals, executive camp director, still made sure Lloyd was there with his barbecue for us. He had a good life and in his dedication to serving others influenced generations of families and friends from all walks of life with his kindness, good humor and support of individuals and community. He leaves behind his wife, Grace Lewis, camp nurse for many years, his partner in all that he accomplished and a large extended family. He and Grace were very supportive of Art Camp, making sure our interests were heard at some critical moments in years past. As a testament to the deep reach in both Quincy and Oakland, over 500 people attended his funeral. He was a tour d’ force whose energy and passion will be remembered for many years to come.